EDGAR Filing Services - Colonial Filings, Inc. 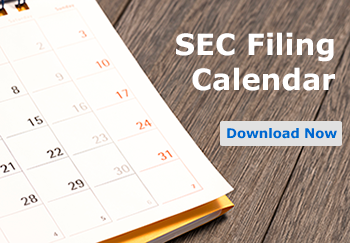 Since 1993, the Securities and Exchange Commission (SEC) has required public companies to file periodic reports on the EDGAR (Electronic Data Gathering, Analysis, Retrieval) filing system. Some of these reports include: annual and quarterly reports, information statements, material event filings, proxy statements, registration filings and ownership documentation. We convert electronic and paper documents into the SEC’s standard EDGAR format according to the SEC’s filing rules. The SEC requires all documents to be filed in compliant HTML and XBRL formats. Our services and technology provide above industry turnaround times on your EDGAR documents. With our easy edit technology, changes will be expedited to ensure your team has more than enough to review your filing. Our service experts send an email receipt each time you submit a new filing or changes to us, as well as keeping you up to date throughout the filing process. We ensure that each proof we send is accurate and professional. We include quality enhancements such as row shading, table of contents and exhibit index hyperlinking, graphic insertions, and more. EDGAR documents are reviewed twice to ensure you receive the quality you deserve. We have nearly 30 years of industry experience and are very familiar with the EDGAR system, updates, and HTML coding language and requirements. Our staff includes professional accountants, technical experts, and CPAs to ensure your filings receive the quality they need. Get overnight and weekend filing support so that when you come into the office your filing will be waiting for you in your inbox. headache, accuracy issues, and unneeded review. Save thousands of dollars with our predictable flat-rate filing packages that include unlimited number of pages and changes, making it easy for you to track your filing status. Contact a sales representative to learn more about our EDGAR filing services at 877-285-8605 or by clicking above. Obtain a quote or learn more about our EDGAR filing services. Your company’s professional image is important. We have the expertise and technology to ensure that each filing is professional and accurate.